A craft that requires very little time and very fun to do! 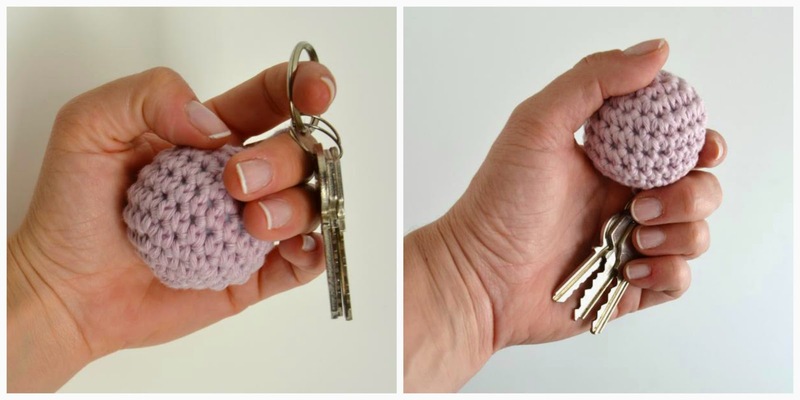 A crochet keychain purple and one other blue! I worked with Drops Paris yarn and crochet hook 4mm. And you, you are immersed in some project? Very handy such keychain. Had to immediately think of a stress ball. Hi ... a stress ball if you're stuck in traffic. M'encanten aquestes boletes-clauer són genials! Quina manteta més mona estàs fent Cristina.